Description: Beach Grass is the shop "Where Summer Never Ends", even in the northeast climate of Maine. Located on the Port Walk, just 50 steps from Dock Square, we're open daily at 9 a.m. April thru December. Winter Hours: Open 9 a.m. to 5 p.m. Thursday thru Monday. The website is always open for shopping and browsing. www.beachgrassshop.com We're all about the beach, from decor and gifts to music, books and fashion accessories. Beach Grass is inspired by the classic New England style of vintage, retro cottage. And we love to have fun! 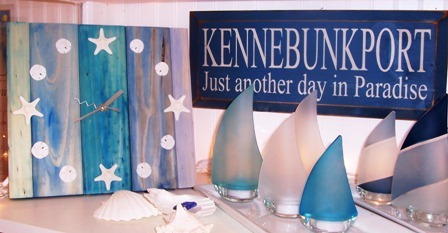 Come visit us during your Kennebunkport stay -- we'll be up to something! #2 Christmas Town in America by HGTV! 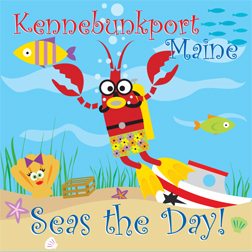 Kennebunkport's Christmas Prelude was designated as one of the Top 100 Events in North America for 2015 by ABA! Copyright © 2019. ChristmasPrelude.com. All rights reserved. Photos by: Robert Dennis & C.A. Smith Photography.